Hello. Another exciting day at CIS, finding ancient secrets and treasure maps. Okay, so maybe not as intense as that but still a good day. I finished up the files that my adviser Roger Easton assigned me personally. Yea! Now I am gong through the rest of the files on the disk and doing ones that were skipped over before because they weren't as important to the scholars or they were difficult. Each leaf (page) is so different from any other that there is no set in stone method. You have to look at the bands (the images taken using different types of light) each time and determine which bands look best for that leaf. A lot of the time the leaves will use similar bands, but the rest of the process is specific from each leave. I'll talk more about that tomorrow. I don't want to give you all the secrets at once. 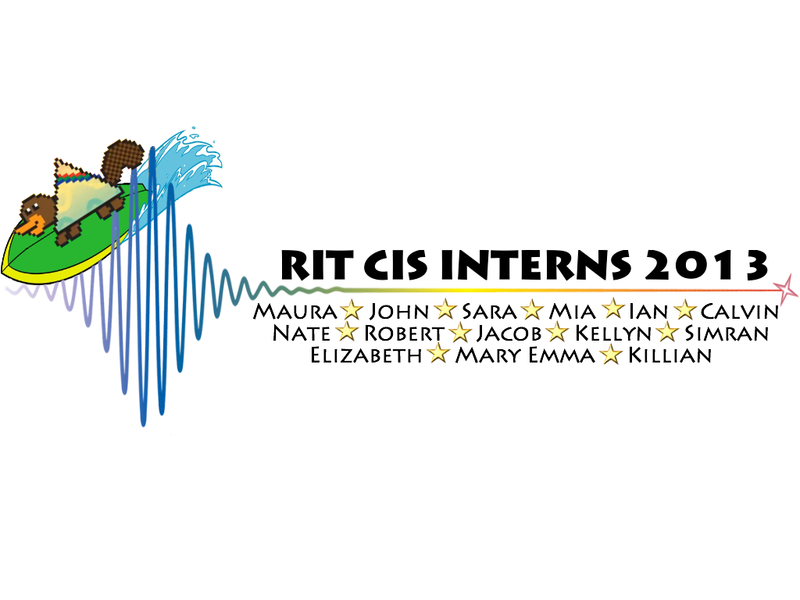 We now have an official CIS intern T shirt design! It was made by two of the other interns, Mia and Simran. Hopefully the shirts will be in soon. Let me explain the design before you get really confused. The Center for Imaging Science mascot is a platypus, because it is a mixture of lots of different animals and imaging science is a mix of many different fields. He is surfing on a wave because its summer and that is what platypi do on their vacations (and the wave is part of the CIS official logo). Hopefully, that clears up any confusion.